Here in Canada, we've just had a long weekend to celebrate Queen Victoria's birthday. She's long gone, but Canadians love any reason to party - it's traditionally our first 'fireworks' night of the season. Perfect timing for a Royal challenge! This is a birthday card, based on lyrics from an old David Bowie song, Heroes. The song starts with "I will be King" and ends with "just for one day". 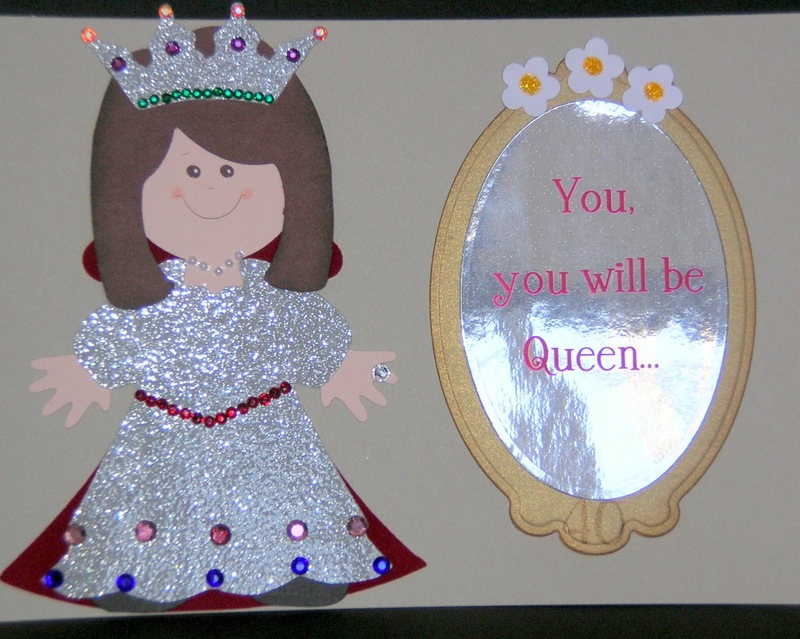 For today's card I cut the gold mirror crown using my Silhouette Portrait, and used a plain, masculine font. This will be perfect for my Bowie-loving brother-in-law! My card base (and computer generated font) is royal purple (otherwise known as Elegant Eggplant). So now it's your turn to be Queen for the day. Or princess, or whatever royal means to you! Don't forget to link up before the deadline on Sunday at 4:00 CST. Love all the cards especially the crown! Can't we be queen for more than a day!? I'm in line behind Bev curtsying...amazing! This card is so perfect and regal for the Queen Victoria weekend!! It's now come and gone...LOVE your CAS design on this! I love that you chose royal purple for your background and font...it's just perfect with the crown! Awesome CAS design too, as always, Ardyth! I was singing the song before I'd finished reading the sentiment! Love the clean lines and crisp contrat of colours. Love that curvy cut with the blue peeking out and a fabulous crown! another totally fabulous take on the cue word, ardyth! ..I'm thinking that your style has definitely evolved to just a tad bit more CAS, but I absolutely love your creativity in the older card! However, some things never change...is that Stickles I see on the older card???? Love it! 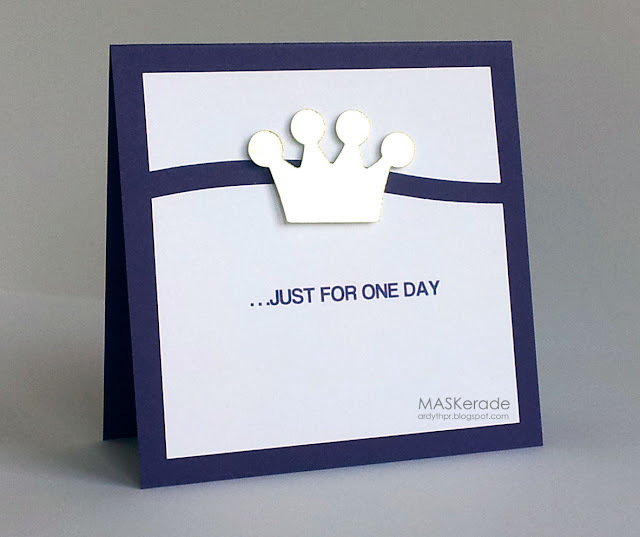 I immediately thought of that song when I saw your card, and the crown and purple go so well together for the Royal theme. I just love the design on your crown card with the wavy split in the main panel! I love how your cards are always so clean and to-the-point! :) This one really shines!! 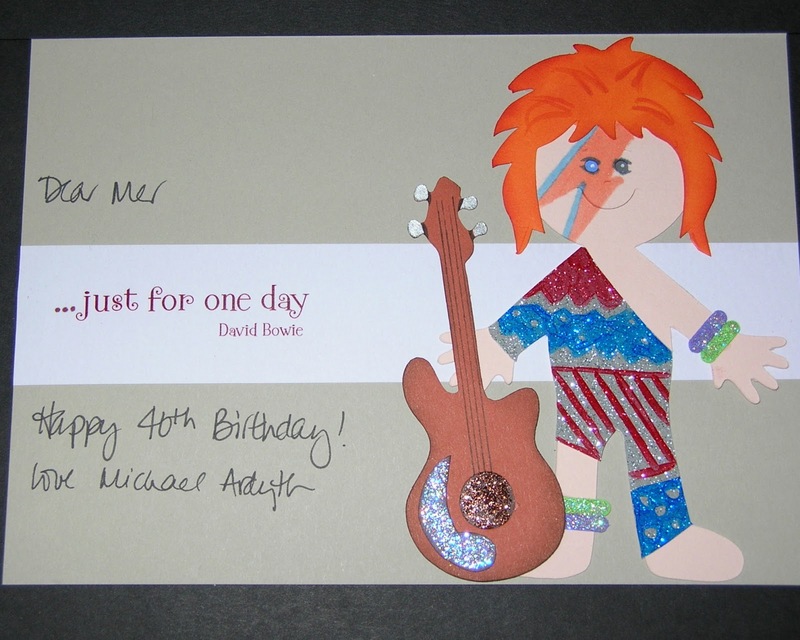 Thanks for sharing a part of your card making history too! :) I'm not that brave...LOL! Super cute crown Ardyth! You are having fun with your new toy aren't you? 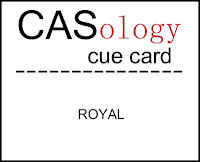 Ardyth, what a perfectly royal card and perfectly CAS! I hope you had a fun Victoria Day! Love your crown and the fun, wavy layout!!! The simplest ideas are always the best!! I love the split panel backing the crown.. it just makes the design flow! !